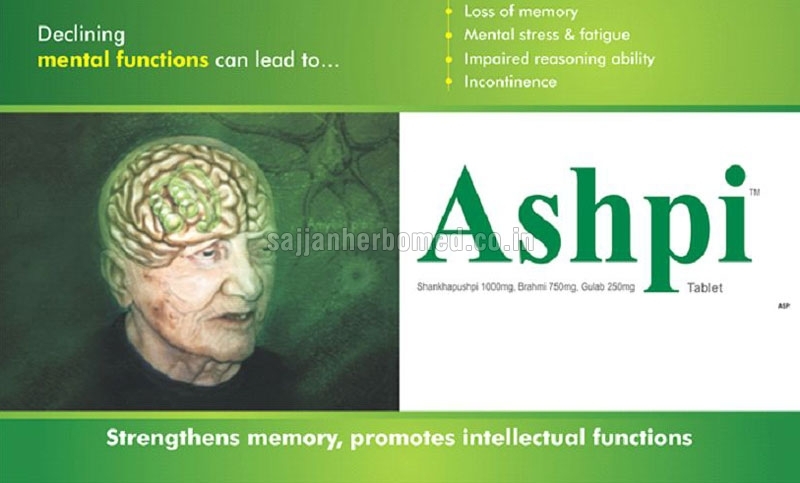 Ashpi Tablets that we supply are used for strengthening the memory and promoting the intellectual functions. These tablets are also useful in providing relief from mental stress, fatigue, hypertension and impaired reasoning ability. Our Ashpi Tablets are also a natural anxiolytic and improve sleep disorders. These tablets help the patients with incontinence where dementia is the root cause. These are also helpful in migraine and to delay the interval between migraine attacks. These tablets contain a combination of three time-tested herbs. Paediatricians have found these tablets useful in treating the bedwetting problem in children. Ashpi Tablets have been found as an effective alternative to benzodiazepines (like diazepam, alprazolam, clonazepam and lorazepam).